One investor’s tragedy is another investor’s opportunity: it’s a relentless law of market dynamics, and you need to understand it if you’re going to pick the big winners. We all witnessed Amazon make mincemeat of Sears and Netflix take major market share from movie theaters; if you were on the right side of the trade, you undoubtedly made a lot of money from these market shifts. The problem is that most retail investors stay on the wrong side of the trade, only to get hammered when new and better technologies come along and consumer preferences change. Take the automobile industry, for instance: companies like Ford and General Motors, which were once solid, long-term buy-and-hold investments, have been suffering for years from changes in consumer sentiment. They’ve also been suffering from policy changes, as governments in Europe, Asia, and other regions are in the process of tightening emissions standards and creating a cleaner, greener planet. It’s taking a toll on the automotive industry because many people – especially millennials in big cities, who don’t value car ownership like previous generations did – are ditching cars altogether in favor of more Earth-friendly modes of transportation. It’s a bad sign for the car market to fall apart like that, especially when the broader stock market has been going up. If you’re invested in traditional car companies, you might consider reducing your position and moving into something with better potential. Now, you might be wondering what’s been replacing cars in big cities lately. 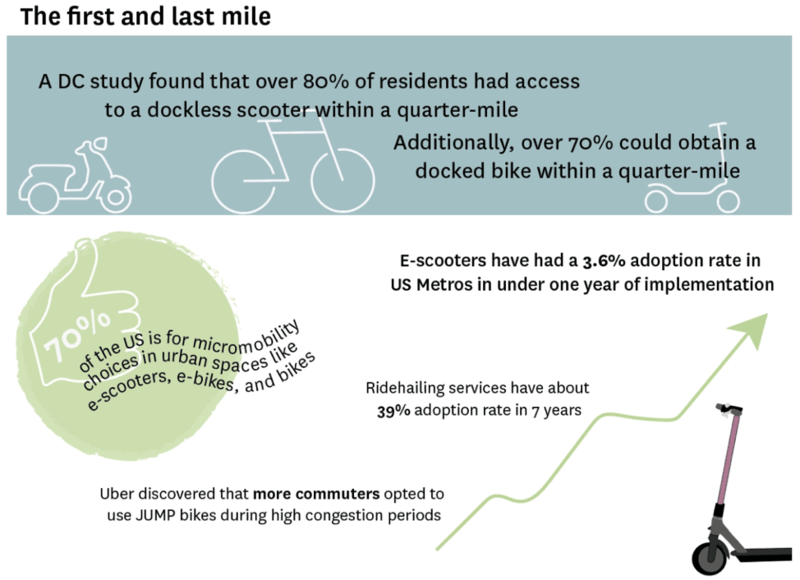 The research indicates that the shift has been out of cars and into micro-mobility, which includes e-bikes and e-scooters. Millennials have been a strong and consistent consumer segment in the micro-mobility market, as this form of transportation promotes cleaner and more efficient alternatives to cars. Besides, with governments around the world mandating a more carbon-neutral mode of transportation, micro-mobility has provided an ideal replacement for expensive, wasteful, pollution-heavy cars. And with 60% of trips in the U.S. being five miles or less, city dwellers have no need to own a car if they can just use an e-bike or e-scooter. Smart investors love it, too, and they’re taking big positions in the companies that cater to the new generation of e-bike and e-scooter enthusiasts. According to my research team’s deep analysis, the best way to profit from this important trend in transportation is through a long position in LOOPShare Ltd. (TSX-V: LOOP, OTC: LPPPF), the world’s very first fully-integrated electric scooter sharing service. This young start-up is quickly replacing old-fashioned car companies in investors’ portfolios, and they’ve already received a key celebrity endorsement: LOOPShare announced that they’re acquiring Scoot-E-Bike from Raytroniks, which is owned by Ray J, one of the biggest influencers in Hollywood. Ray J will remain a brand ambassador for LOOPShare, and his association with the company will provide high-profile visibility and credibility to millennials and other micro-mobility consumers. Additionally, Ray J will continue to guide the creative path for the scooters’ construction – he’ll definitely stay involved going forward, as Ray J will control close to 19 million shares of the company’s stock. Micro-mobility is here to stay: that’s bad news for the flagging car industry, but terrific news for anyone seeking better, cleaner, more efficient, and affordable modes of transportation, and it’s a prime opportunity to take an early stake in LOOPShare, a celebrity-endorsed micro-mobility superstar in the making. Blockchain: This Has Never Been Done Before! TOTAL DEMISE: R.I.P. Bull Market!